Advisory Services in the areas Financial Inclusion// Retail Banking// Project Management// Trust Fund//Revolving Fund// Evaluation//Governance// Microfinance// Training. We match up field experience in twenty-eight Countries and expertise in development finance issues with the recent economic & financial trends to design and apply viable and feasible business solutions for our clients. Economic and financial inclusion should be conjugated together to achieve countries’ inclusive growth, which is the message we detected from UN 2030 AGENDA FOR SDGs. Decision-makers have to empower people through either start-up and growth-up business and providing a remunerated job. In 2015 I launched “COLLOQUIUM WITH DECISION MAKERS” (https://www.linkedin.com/pulse/project-decisions-makers-africa-ascanio-graziosi?trk=mp-reader-card , which is neither training nor course of lessons, but a Colloquium on strategic issues with micro finance top Executives in their own hub; so they don’t need to travel to Rome, London and Paris. Upon request, they will receive the Document and the Budget. This is a very important Colloquium for those who like to step in the digitalisation of the financial services, based on informative decisions. Burkina Faso, Swaziland, Somalia, Kosovo, (2), Cameroon, Tunisia, Albania, Romania, Russia Federation, Montenegro, Serbia, Morocco (2) and Algeria. Netherlands Antilles, Cameroon, Mali, Caribbean, Kosovo, Guinea-Conakry, Azerbaijan, Malawi, Bosnia, Montenegro, West Indies, Niger, Algeria and Morocco (2). S.Lucia, Curaçao, Cariforum Countries Malawi, Uzbekistan, Ethiopia, Burkina Faso, Niger, Mali, Albania, Swaziland, Somalia, Romania, Albania, Kosovo, Bosnia, Malawi, Russia Federation, Morocco and Algeria. Tunisia, Bosnia, Caribbean, Romania, Mali, Albania, Netherlands Antilles, Malawi, Algeria, Morocco Ghana and Russia Federation. Capo Verde, Niger, Malawi, Mali. On Finance for Food trade business within the framework of the Program “Food into Cities”. Collaborated as Agricultural Credit Specialist from 1983 to 1998. 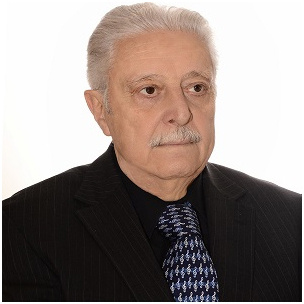 Dr A. Graziosi started the overseas career with FAO as Agricultural Credit Specialist and he worked in the following Countries: CHAD (1983), GUINEA CONAKRI (1985). CAPE VERT (1986), NIGER (1991), MALAWI (1994) and ETHIOPIA (1997) and 1998). SOMALIA. ITA, 1966. Economist with Central Bank of Somalia. FED, 1998-90. Bank Advisor; Credit to small banana growers. Netherlands Antilles (promotion & financing SME), Cameroon (micro credit institution), Mali (Definition credit policy to address private enterprises), Caribbean (Rice sector: trust fund & liaison with banks), Kosovo (Two evaluations: 1. micro credit institution – 2. Repatriation of refugees), Guinea-Conakry (cooperatives credit), Azerbaijan (SME export & capacity building), Malawi (revolving fund) Bosnia, (guarantee fund) Montenegro (Counterpart fund), West Indies(Banana sector: design a new credit facility), Niger (cereal banks assessment), Algeria (private sector development: SME), Morocco (Two evaluations: 1. Identification & Design & Formulation TA intervention in favor of five micro credit organizations. Draft TOR for TA – 2.Evaluation and proposal for a new intervention in favor of SME).